After 31 years my friends and I reunited again at the Gold Point Resort, Breckenridge, Colorado. We worked together in Germany from 1982 to 1985. It was a great get together! We also celebrated our friends 48th wedding anniversary there and went to dinner at the Blue Spruce Inn in Frisco, CO. Friends joined me came from Virginia, Alabama, Colorado (Highlands Ranch & Westminster) and of course me from the Hill Country of Texas! We enjoyed our hiking, walking and going up to Boreas Pass. It was an awesome experience! We will definitely do this again every year! Where did the summer go? Well we know that some of you are already thinking about the upcoming ski and snowboarding season. Being that it is almost the end of August that means we are only six to eight weeks away from the start of the first ski runs opening to the public. 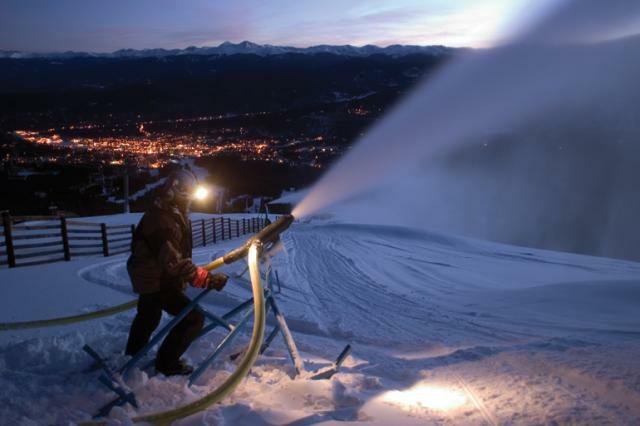 Breckenridge opens on November 8th and even that is just about 9 weeks from now. You might be thinking about winter and craving some fresh powder even though the summer’s rocking right now. Some of us here are in a ski mindset too and the ski areas are thinking about ski and snowboarding season right now for sure. Now is the time to look at the different season passes being offered by Colorado ski resorts. The resorts offer the best deals for early bird purchasers. If you do not live close and you are planning even a 5 day trip it is worth looking at the price of a season pass vs. the cost of lift tickets in season. Often the season pass is a better deal and if you are thinking even a little that you might get ten days or more on a hill in Colorado then it is a no brainer. Here is a lineup of the current season pass offers in and around Summit County. If you like Breckenridge, Keystone, Vail and Beaver Creek then the Epic Pass should be your first consideration. This pass is offered now for $689. The Epic Pass offers unlimited skiing and riding to Vail, Beaver Creek, Breckenridge, Keystone, The Canyons in Utah, Heavenly, Northstar and Kirkwood in California, Mt Brighton in Michigan, Arapaho Basin and Eldora located just outside of Boulder, Colorado. For a little Less at $529 you can get the Epic Local Pass which offers unlimited access to Breckenridge, Keystone, Mt Brighton in Michigan, and Arapaho Basin. You will also get 10 days at Vail and Beaver Creek. One other Epic option is the Summit Value Pass which offers unlimited skiing at Keystone and Arapaho Basin and resticted access to Breckenridge. The Summit Value Pass is going for $439. Copper Mountain is a very popular ski resort just about 15 miles north of Breckenridge at the other end of the Ten Mile Range. Copper offers 2,465 acres of skiing from Beginner to double black diamond skiing. Right Now a Copper Pass is just $369, a great deal. Arapaho Basin or A-Basin as people who are in the know call it is offered as one of the ski areas on the Epic Pass but A-Basin offers season passes of their own at prices that are much less expensive than the Epic Pass. A-Basin has been a local’s favorite for over 50 years. Located near the top of Loveland Pass about a 45 minute drive from Breck, A-Basin perches atop the Continental Divide and offers an unpretentious experience. A-Basin offers the best steep and un-groomed terrain in Summit County and for just $269 the lowest prices on a season pass anywhere. Loveland Ski Area is just over the hill in Clear Creek County and is another small ski area that offers really fun un-groomed terrain that is a little less steep than A-Basin. In addition to groomed and off-piste terrain Loveland offers some of the most amazing views from a ski area in Colorado. The Loveland Season Pass is $379 and offers a bunch of bonus days at other Colorado resorts including, Monarch, Crested Butte, Durango and more. If you are planning a winter ski/snowboard adventure around Summit look first to the season pass rates before buying you lift tickets and always remember no matter what list tickets you decide to buy that they are always less expensive when you buy them before getting to your destination. And remember visit www.breckenridgediscountlodging.com for the best deals on Breckenridge lodging. Summer is coming to an end in the High Country and the golden days of fall are just around the corner. Many locals feel like the autumn in Breckenridge is the most enjoyable time of the year. The typical High Country fall starts in late August/early September and lasts through the beginning of November when most of the ski areas are open or opening. During the fall expect cooler temperatures dipping to downright cold at night. The weather tends to get quite dry; in fact the driest months of the year are September and October. Cooler temperatures and dry conditions are the perfect mix for all sorts of activities. The summer vacation season is winding down and there are fewer crowds. Most restaurants and retail establishments offer their best deals of the year and almost all businesses remain open during the fall since they have to staff up to get ready for the upcoming winter season. The fall is also one of the best times of the year to get awesome deals on lodging. If you are looking to experience the golden fall colors of the changing aspen trees a hike is one of the best ways to go. There are many trails for all abilities that offer stunning walks through golden aspen groves. One of the best things about hiking is that it is pretty easy and totally free. There are many hikes that offer great exposure to the aspens. One of our favorites is Mohawk Lake. Located just a few miles from Breckenridge, Mohawk Lake is the perfect intermediate family hike. The trail winds through the woods for about two miles before breaking out above tree line. The trail continues to Lower and Upper Mohawk Lakes offering stunning alpine vistas along the way. Biking is another fantastic way to see and experience all that is fall in Summit County and Breckenridge. Like hiking, biking is relatively inexpensive. Bike rental is the only real expense and the extensive bike path system as well as backcountry trails offer rides for anyone. Many local companies offer shuttles to the top of Vail pass so you can ride the bike path down from the top of the pass back to Frisco or Copper Mountain. For a little more adventure look for a backcountry trail. 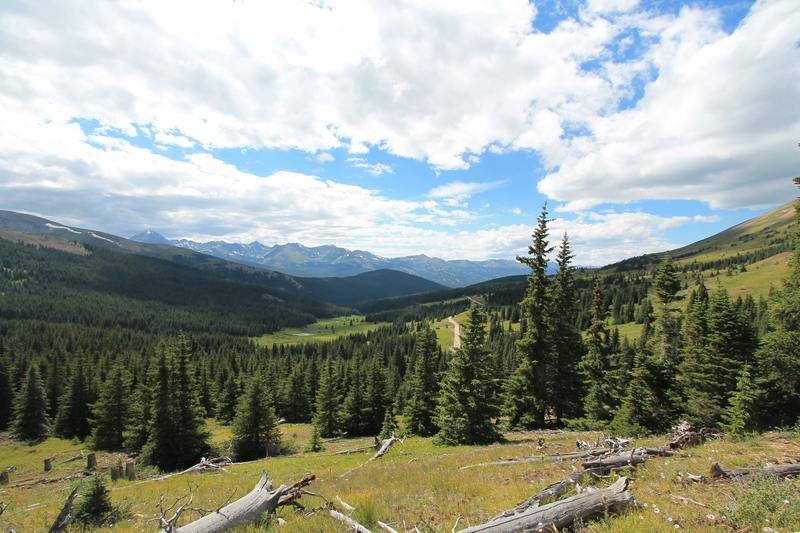 Breckenridge and Summit County offer miles and miles of trails. One of our favorites is the Peaks Trail that starts just after the Grand Lodge on Peak 7 and goes about 9 miles to Frisco. You can start at either end and ride back on the bike path to where you are staying. The whole ride is about 20 miles and takes under 3 hours. If you like golf there is nothing better than golf at altitude. If you are looking for perfect golf weather mixed with epic mountain courses and the best deals of the season. There are five world class golf courses in Summit County and most stay open into early October. Closest to Breckenridge is the Breckenridge Golf Club. Operated by the Town of Breckenridge, the Breckenridge Golf Club is the only Jack Nicklaus designed municipal golf course in the world. The Breckenridge Golf Club stays open until October 6th ad offers tee times as low as $30 for 9 holes after 4:30 p.m. Other Summit County golf courses include the Keystone River and Ranch courses, the Raven in Silverthorne and Copper Creek in Copper Mountain. Each course is unique and plays beautifully. 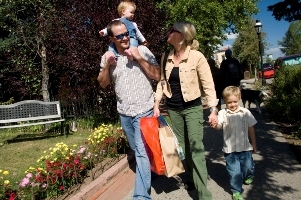 Breckenridge has over 160 shops in the downtown corridor and almost 80 restaurants and bars. The fall is a great time to find great deals on all kinds of stuff from outdoor gear to fine art. Restaurants always break out the famed and eagerly anticipated 2 for 1 dining offers and other great food and drink deals as well. The reason the fall is so great for deals on food and stuff is that it is the off season of course. More than that stores and restaurants are generally staffed up or hiring staff for the winter season and need to find ways to keep their staffs working while waiting for the return of winter. That means store owners do whatever they can to generate off season business and that includes big sales and promotions. One thing to always be on the lookout for is last year’s winter clearance items. There are always killer deals to be had on ski and snowboard gear in the fall. Fall in Summit County and Breckenridge means the beginning of event season. Events including Labor Day Weekend and Oktoberfest have become Breckenridge event staples and provide family entertainment for thousands who visit each year. The capstone event of the fall in Breckenridge is Oktoberfest. Oktoberfest is a three day long street party that celebrates the world renowned beer drinking holiday that was born in Munich. During Oktoberfest Main street is closed and lined with booths offering the best German beer and traditional food found anywhere in Colorado. For a full lineup of events happening in Breckenridge and Summit County this late summer and fall click here. The events and activities that are found in Breckenridge and the Colorado High Country are some of the best happening in Colorado in the fall and are offered at the best prices of the year. If you are planning a trip to Breckenridge soon make sure you are dialed in on all that is going on before you come. Outstanding accommodation, outstanding facilities, the week was topped off by seeing a bear in the woods below the lodge. It is a shame that the week went by so fast. https://www.bestofbreck.com/wp-content/uploads/2015/08/Monday-Aug-19-2013.jpg 1500 1500 Employee Submissions https://www.bestofbreck.com/wp-content/uploads/2015/08/logo-332x156.png Employee Submissions2013-08-19 22:02:022015-08-07 22:09:59Just an amazing week!!! Get Ready. Get Set. It’s Race Time! Sign up today for the Grand Lodge on Peak 7 Strider Challenge, brought to you by the Stork & Bear Company! Join us on Wednesday, August 21st at 9:30 a.m., just before the Stage 3 Start of the USA Pro Cycling Challenge in Breckenridge! This free event is for kids 2-5 years old. All participants must provide a helmet and Strider bike. Register at the Stork & Bear Company at 610 Main Street in Frisco by Tuesday, August 20th. Call 970.668.5937 for more information. Life is more fun on two wheels! https://www.bestofbreck.com/wp-content/uploads/2015/08/Thursday-Aug-8-2013.jpg 1500 1500 Employee Submissions https://www.bestofbreck.com/wp-content/uploads/2015/08/logo-332x156.png Employee Submissions2013-08-08 21:56:062015-08-07 22:01:45Get Ready. Get Set. It's Race Time! We had a wonderful time in Breckenridge for our summer vacation week. It was very nice and cool. We stayed at Grand Timber Lodge, which we traded in for with our timeshare points. We loved it there. The employees were very helpful and nice. We enjoyed several activities while we were there including hiking, fishing, exploring the various shops & restaurants on Main Street, touring Grand Lodge on Peak 7, and taking the gondola up to the mountain and enjoying the various activities up there.